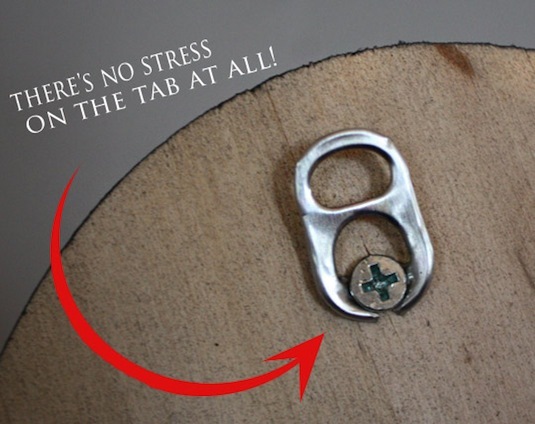 The aluminum from a can tab makes for just as good of a hook as any! This is a great solution for something that may not have been intended to hang on a wall, therefor doesn’t come with the hooks required to put it up. Who knew there were so many clever uses for toilet paper rolls! 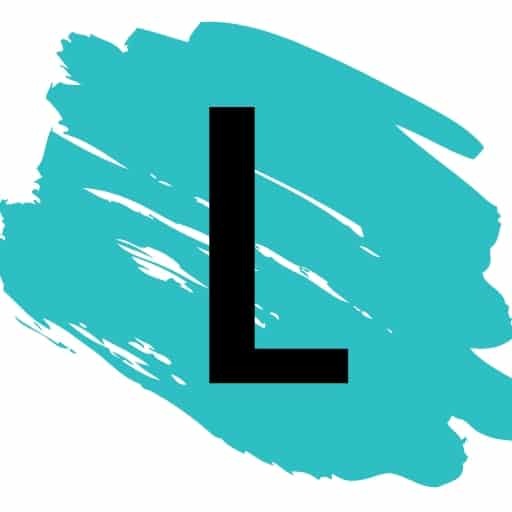 We go through so many of these things, why not repurpose them in a way that makes our life easier? 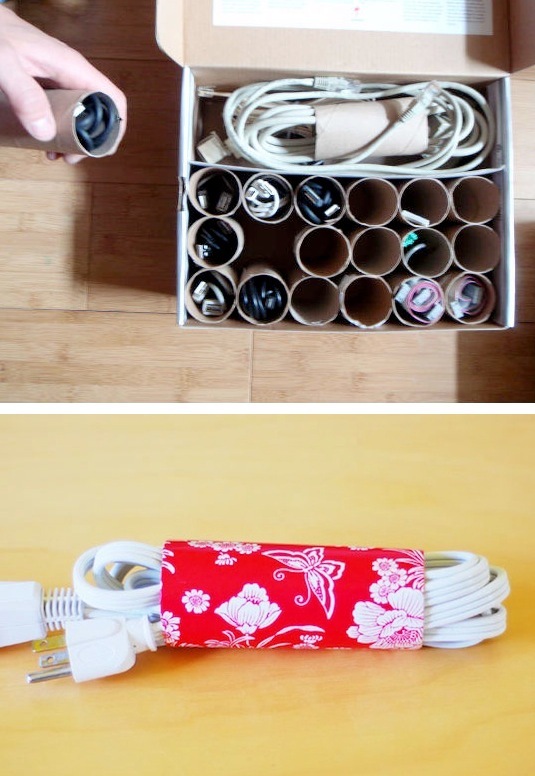 Use them to keep your cords from tangling, or even create a custom cubby box for small cords and cables. I grew up obsessed with Legos. 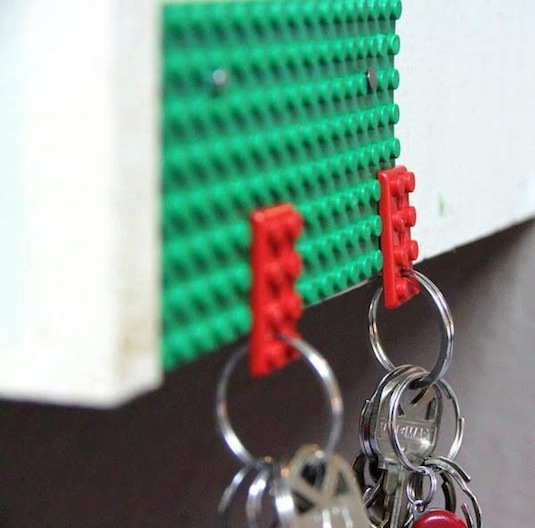 This might explain my love for this Lego key holder idea. And, there’s no drilling required if you use the Lego bricks to connect to your keys.